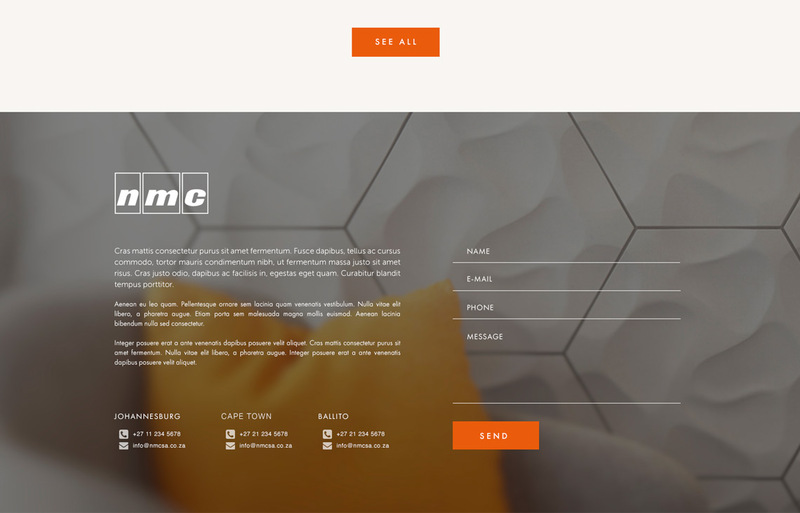 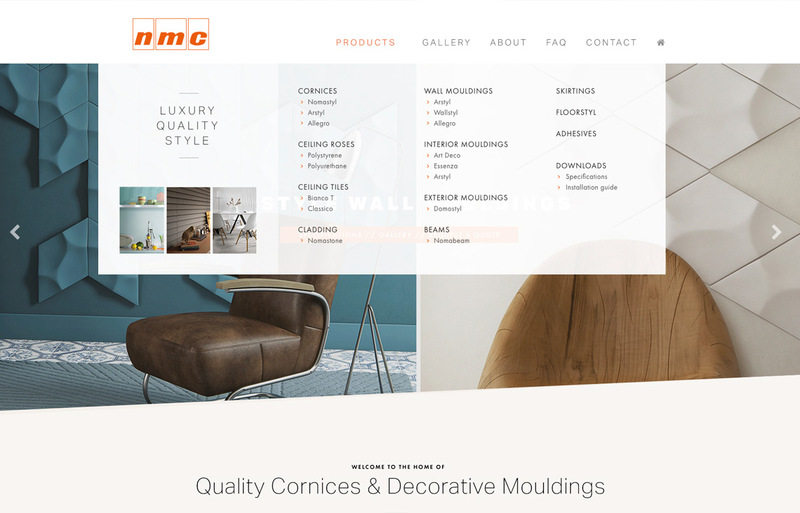 A new responsive WordPress website for NMC South Africa to replace an aging brochure website. 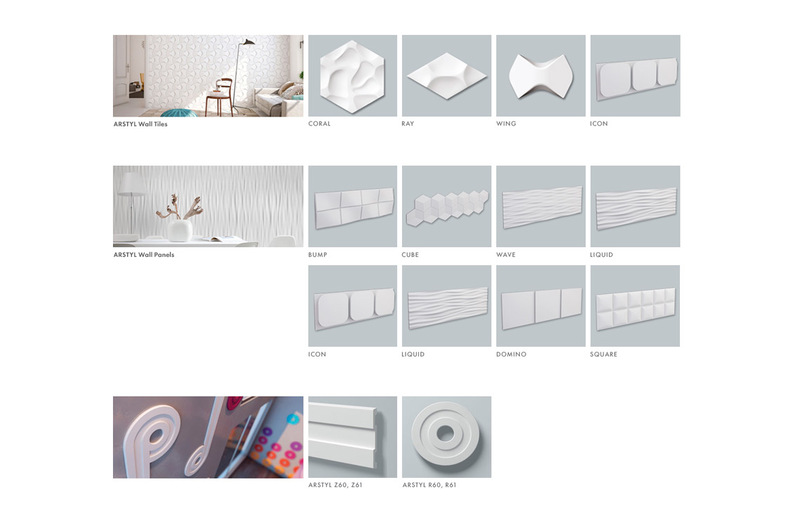 With such a beautiful product to work with we couldn’t resist going the extra mile when quoting this project. 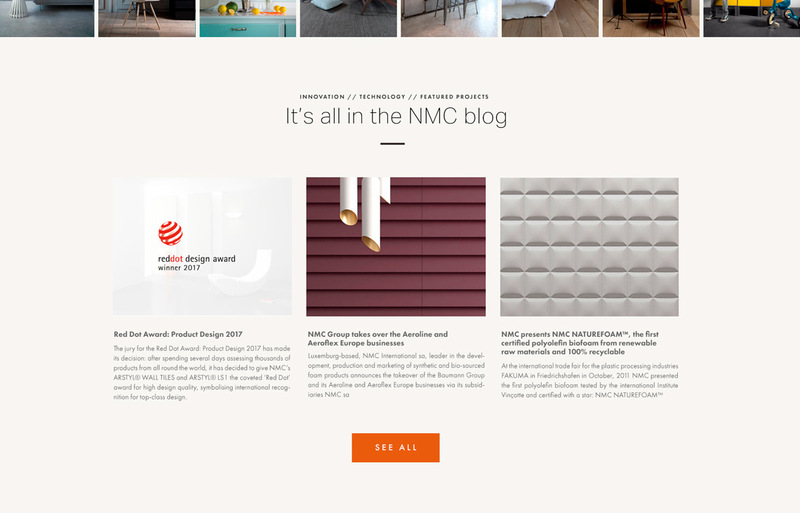 Normally we do not include a full look & feel treatment as part of the quoting process, but we love the high end look of the NMC products so we went ahead anyway. 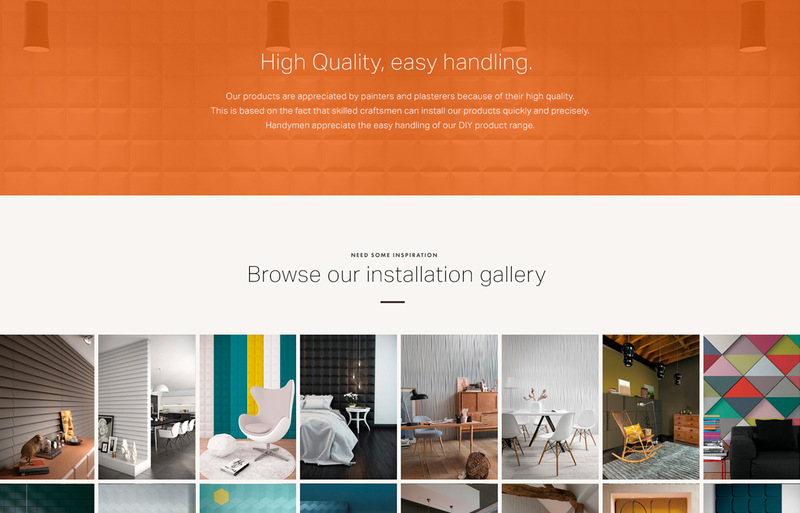 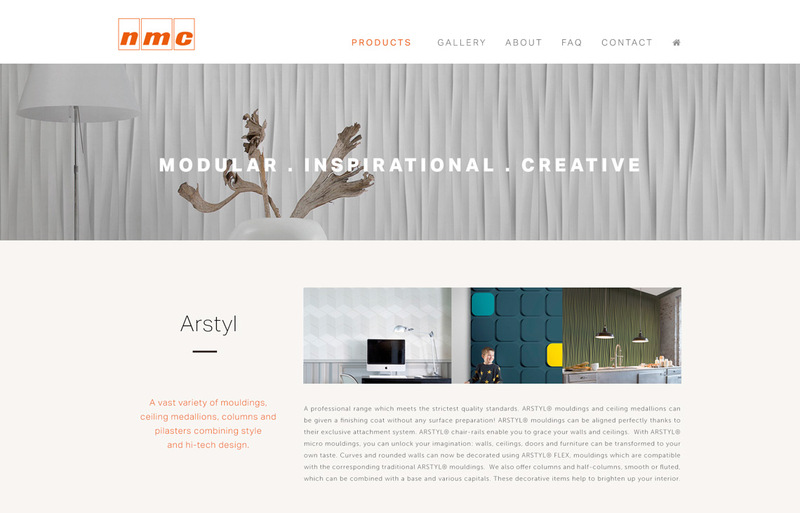 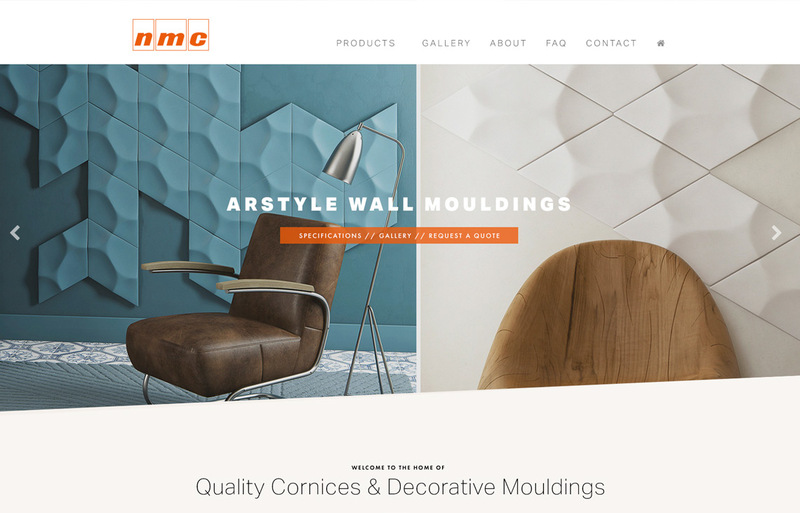 The proposed website would be a showcase for the beautiful mouldings, cladding and tiles available from NMC as well as online orders and sales. 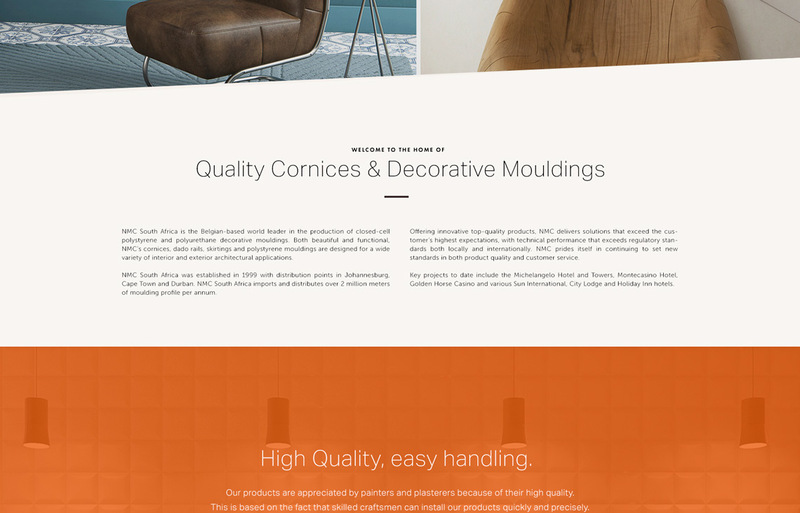 Unfortunately the client decided to use the generic international site instead.